Turned out to be a nice night to watch football and the ‘Riders won which is even better! I’ll miss Taylor Field when the new stadium is done in 2017. I have mixed feelings about the cost of a new stadium when there are so many other things in Regina that need fixing, but at the same time at some point the city would need to build a new stadium. So, politics aside, I’m just happy it will be roof-less as I think football is meant to be played under a prairie sky. 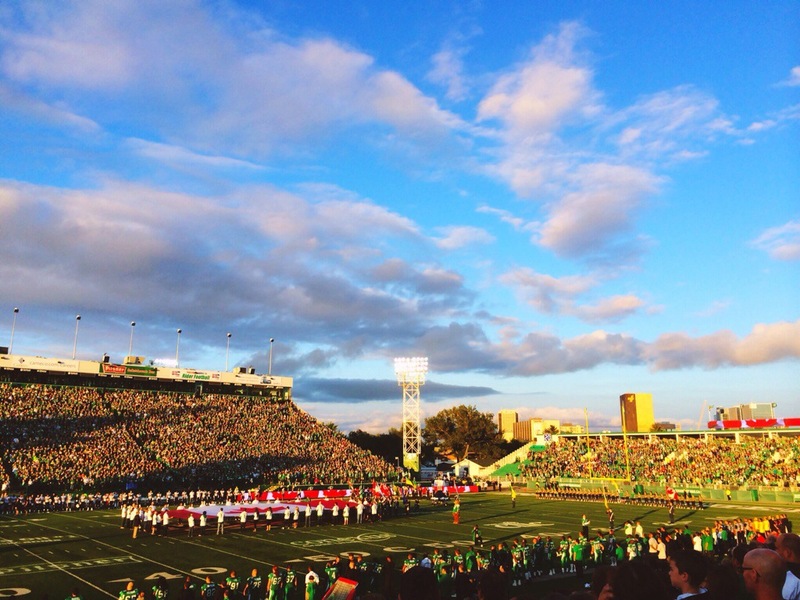 This entry was posted in Photography, Saskatchewan and tagged Canadian Football League, CFL, Mosaic Stadium at Taylor Field, photography, prairie sky, Regina, Saskatchewan, Saskatchewan Roughriders, summer Saturday night, Taylor Field. Bookmark the permalink.